Phew what an absolutely scorching McScorcher it is out there today. In fact, after waiting something like 2 years, the whole of the UK (except for Norwich apparently - sorry guys) has been well and truly scorching it up with a vengeance for a whole week now. Awesome. Maybe it's even too hot.... narrrt! Bring it on we say. The best thing is, according to experts (a chap we met in the pub last night) the sweltering-ness is set to continue for the next 6 weeks. That's like the whole summer. Yay! 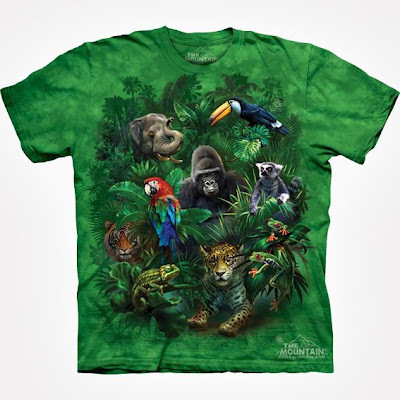 This is the Jungle Animals T-shirt. Printed on a summery green with natural dyes (hence the tie-dye style patches), it features a montage of lots of different jungle animals. Sure to turn a few heads. For the adult version, click the link above, or click here for the kids' size. 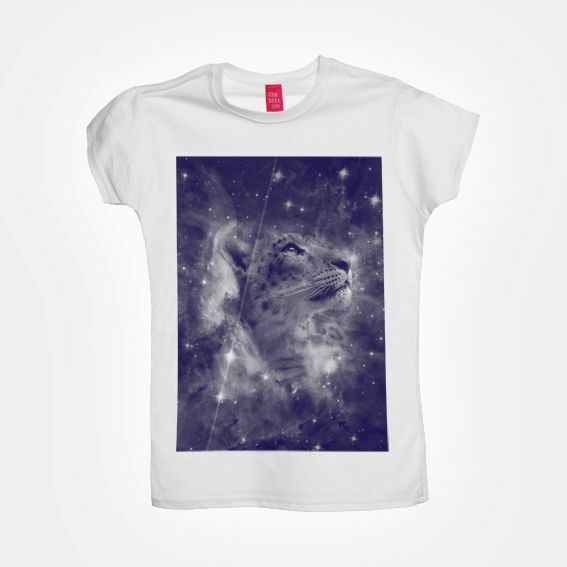 This lovely space-leopard T-shirt is printed on a light white cotton, which is perfect for summer. The illustration is original artwork and truly beautiful - just the sort of thing you want when you're jumper has no chance of making an appearance. The T-shirt shown here is the fitted cut, designed for women. Click the link above for that one, of click here for the straighter classic adult T-shirt for men or women. This is our Tropical Birds T-shirt, and the name says it all really. 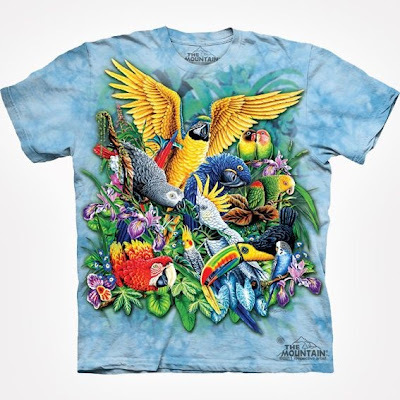 What could be more summery than a cacophony of tropical birds? The answer of course is when said cacophony is exploding across a lovely summery sky blue T-shirt (see above). 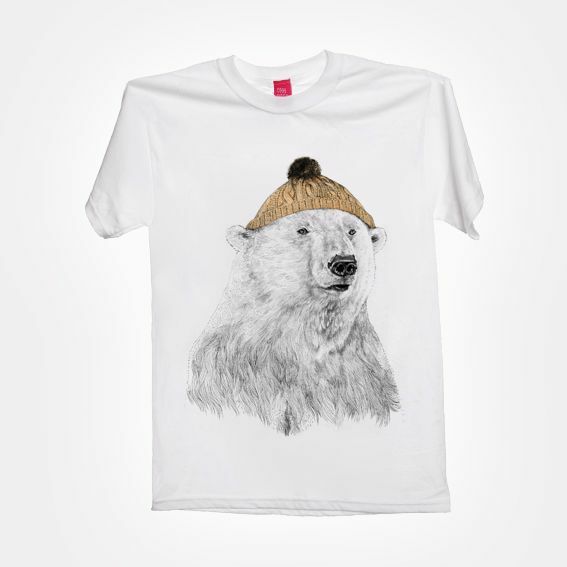 Could this be the summeriest T-shirt anyone has ever seen since the dawn of humankind? We like to think so. Lastly, it's this guy. Our Bob the Polar Bear T-shirt. A controversial entry into this list we know - polar bears are pretty darn wintry, especially when they're wearing woolly bobble hats. However we decided to include it since the light white material is perfect for lounging around in the sun and the chilly motif is a great way of reminding you of what life was like way back in the winter (by which we mean June). We like to think that every time you look at your chest when wearing this T-shirt, you'll appreciate the sunshine just that little bit more.